LET PETROL AUTO SALES BROKER YOUR NEXT NEW OR USED CAR DEAL! Thinking about a new car, but don’t want to deal with the hassle of working with a car dealership? Let us at Petrol Auto Sales take all that stress off your shoulders by brokering your next new or used car deal. With our relationships from working with dealers in the Sacramento Area for over 14 years it’s easy for us to contact the head honcho at any dealer in the Elk Grove Automall, Folsom Automall, or Roseville Automall, Auburn Blvd & Fulton Ave, along with any other Sacramento Area Dealer including Rocklin, El Dorado Hills, and Shingle Springs. Here’s how it works: Our brokerage fee is $249*. For that we will do whatever research, and price negotiation required to get you the best deal on your next car! Your job is just to tell us what you want, walk into the dealer, and drive away in your new car. It’s that easy. When you arrive all the figures will already be worked out, and the car of your choice will be set aside and ready to go. No spending hours in the showroom, no dealing with ‘closers’ or manager after manager trying to beat you up and sell you on something you don’t want. *Summer Brokerage Special! Reduce your brokerage fee to $149 for a limited time! Here’s how it works: Save $100 by selling us your trade-in! Instead of haggling with a dealer on the value of your trade, give us a chance to appraise it and make you an offer up front. We’ll run a complimentary vehicle history report, blue book valuation report, and make you a straightforward market-based offer. If you accept, your brokerage fee will be only $149! Just curious? Want more information? 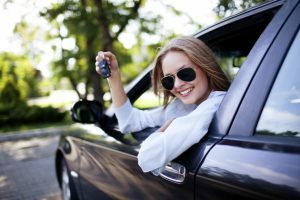 Give us a little information about yourself, and we’ll be happy to do a complimentary consultation to see if using an Auto Broker is right for you. Already know what you want? Input your info below and put “BROKER” in the comments. We’ll get on your request right away! **Great Price guarantee based on current market conditions. A great price is defined as in the bottom 25% of advertised prices on comparably equipped vehicles available within 25 miles of Petrol Auto Sales in Sacramento. To determine a great price we compare selling and invoice prices available from independent third party sources, as well as competing dealers. Contact Petrol Auto Sales for further details.